I put this together for my uncle Jamie’s funeral. Now that they’ve had a memorial for him in California, I figured I’d post it here for anyone interested. We miss you uncle Jamie. Below is the text of the eulogy I gave during his funeral. I would post the video, but I cried a lot trying to get these words out. I am not a pastor or a preacher, but there is a reason that I’m standing here. For me, the man we mourn and celebrate today was never “Jamie St. George”. He was always “uncle Jamie”. He was probably the second most influential man in my life, behind my father. In fact, there probably isn’t anyone in this room whose life was more profoundly blessed by Jamie than mine. For me, Jamie was a man who believed his Bible… and read it in front of me. He prayed with me. He prayed with strangers. He was there when I was baptised. He bought me my first bike, and taught me to ride it. He took me to the mountains. He took me to the beach. He took me to work with him, and paid me, and then took me shopping to spend my money! I remember one particular occasion when he came to the house and we rode our bikes to a local park. The park had a strange architecture, such that the basketball hoops were all down in a huge concrete bowl. So people could play basketball in the middle, and skaters could skate around the edges. Jamie helped me setup a ‘jump’ at one lip of this big bowl, and then he stood waiting to mark my distance as I flew down one side of this bowl and up the other, trying to jump as far as I could on my back. He marked my landing with a stick and then sent me back to try again. I was 12, at best. And there were 200 other days like that one. He did his best to live his life in front of me, and utilize every teachable moment. He was a giant… ten feet tall, at least. And for a season of my life, he was probably my best friend. If there were more ‘uncle Jamies’ in this world, it would probably be a much better place to live. And yet, many people in this room never knew the ‘uncle Jamie’ who so profoundly influenced my life. The man who moved to North Carolina five years ago was badly wounded, and much worse than I think any of us could have understood. So my first goal today is to attempt to paint an honest picture my uncle Jamie. Jamie was the 2nd-youngest of 12, and the youngest among five other brothers. From conversations with Jamie and his siblings, it seems that, as the youngest brother, he was considered somewhat as the ‘runt’ of the family. And he didn’t like it. Maybe that’s why he become very athletic. And as he transitioned out of high school, he developed an interest in body building, and took it very seriously for several years, competing at state levels and beyond. Family legend has it that he could have gone ‘all the way’ if he had been more willing to use the steroids that all the champions used. Even though he stepped back from competitively sculpting his body, he never put the weights down for very long. Even in his late forties, Jamie had a beach body that any 20-year-old would kill to see in the mirror. It wasn’t long after he stepped back from body building that Jamie discovered the Gospel. There are some people who ‘get saved’ or ‘find religion’, and it becomes an important footnote in the story of their life. I honestly don’t know how he ended up in Harvest Christian Church that first time, but when he learned that God loved him, and had purchased his life through Christ’s death on the cross, he never looked back. 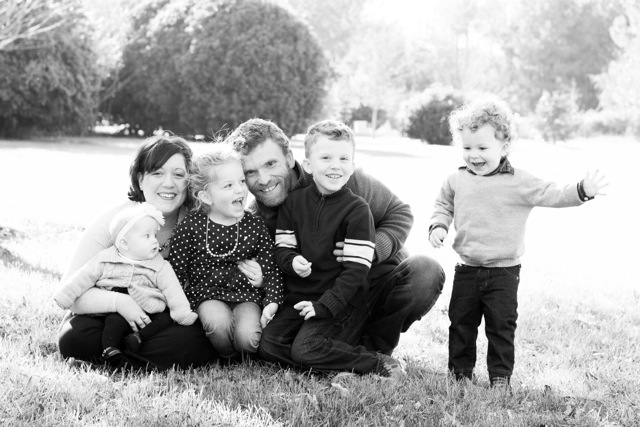 At age 25, the good news of Jesus seemed to redefine Jamie’s whole life. It didn’t take him very long to scribble ‘Jesus’ over every aspect of his life. Every-other word out of his mouth was ‘Jesus’. A skeptic would have called him a bonofide ‘Jesus Freak’, and Jamie would have been very, very grateful for the compliment. He was even somewhat legalistic at first. My dad loves to tell the story of a road trip to San Francisco when Jamie refused to drive faster than the 55mph speed limit while everyone else was going 80. Jamie was somewhat legendary for riding his bike everywhere. I can picture him on his mountain bike, wearing his headphones with some kind of 1980’s contemporary Christian music playing. And a fanny pack full of Gospel tracts that he would hand out to anyone who would pay attention. I know because he usually took me with him, and taught me how important it is to make sure people know about Jesus. But he didn’t just minister to strangers. He prayed for his extended family. Reached out to them. Many of us here follow Jesus because of Jamie. When our church would have an evangelistic function, Jamie would plaster posters and graphics all over his van and drive around town, looking for someone to invite. He had that van because, for a season, he and his wife worked at a group home, pouring their lives into teenage boys who were close to ending up in prison. He lived with them, at meals with them, cried with them, broke up fights, brought them to church. Then there was the year when Jamie took so much time off work to help take care of his dad, who suffered from Parkinson’s. We can’t remember whether it was 9 months or a year. Jamie’s goal was to make sure his dad knew the good news about Jesus, and he patiently worked with him daily trying to communicate it. Feeding him. Walking with him. Being there when he woke up. Being there when he needed someone to love him. Jamie seemed fearless to me. I remember when he got to know a neighbor who was far from Christ. The guy coached a traveling basketball team. So what did Jamie do? That’s right: assistant coach. Or the time he brought a homeless man in to live with him and his wife until he could get on his feet. Whatever it took earn the right to make sure that people knew how much God loves them. During all this time, Jamie was best with kids. He seemed unusually aware of how significantly a person’s life is shaped during their childhood. He took every chance to positively influence the children in his life…. his nieces and nephews, the kids in his neighborhood or apartment complex. If Jamie was around, there were kids laughing and fighting for his attention. There was one time when he had Katie and I at his appartment, and we were all swimming in the pool, and so many kids were fighting for his attention that Katie got to far from the edge and started flailing her arms. But we don’t hold that against him because he dropped everything and swooped her out. And after what must have been something like 8 or more years, he and Patti finally had kids of their own. And just like we all expected, Jamie’s parenting was the stuff of legend. It’s hard to imagine that anyone ever loved their kids like Jamie loved his Austin and Jenna. Many men sacrifice their families on the altar of professional success, but not Jamie. If anything, it was the other way around. He did everything he could to spend as much time with his kids as possible. But when he had to work… you should have seen him. Maybe it was all the years fixing things at his dad’s rental equipment business, but you’ve never seen anybody who could fix or build something quite like Jamie. He was a true artist. Give him 2 ruberbands, a welding iron, and job to do, and get of the way. Even as I walk around my own house, or my parents’ house, I can’t escape his fingerprints. They’re everywhere because he could fix anything… even if he didn’t know what it was. Or go visit his home. The whole thing looks like an infomercial for a master craftsman. Friends, this is who we honor today. He was a faithful husband, father, brother, uncle, and friend. And, my dad will want me to mention this: he could smell a good barbequeue from 20 miles away. We don’t have to exaggerate or invent anything to fondly remember or celebrate this life. His life ended under a dark shadow, and some day, in heaven, he will help us understand what these past couple of years were like. Something broke…. in his soul or in his mind… but his faith never did. And that’s what so poetic about today. Jamie taught me about Jesus, and today, I want to remind all of us as we cope with the loss of this hero. I know that many of us heard or believe a version of the Jesus story. That version goes something like this: Jesus died so that if you pray a prayer of faith you won’t have to go to hell, and you can go to heaven instead. The Bible paints a much bigger picture. The Bible tells us that God made us… He crafted us…. in His image. And for a purpose. He made us so that we could be ultimately satisfied by Him. And that satisfaction leading to our joy, and our joy leading to His joy. And the reciprocation of that joy leading to more joy. He made us so that He could be the ultimate father to us forever. And being a tender Father, He gave us a choice about whether to take Him up on his offer. And way back in the Garden of Eden, Adam, our father, turned his back on God. And ever since then, the world has been falling apart. Every person in this room is hurting. In a way, as Adam’s seed, we all get exactly what our hearts want: freedom from God. Which is freedom from joy. From the very beginning… from the very moment we rejected God, He was already working a plan of redemption. In Genesis 3 he told the serpent that Eve’s offspring would one day bruise his head. We know that the climax of this story was when Jesus came to earth, God in flesh, and in the ultimate pursuit of his enemies, suffered the death we all deserve on the cross. He was the perfect sacrifice to pay for our black hearts. But he did so much more than save us from hell that day. He restored us to God. The Bible tells us that because Jesus suffered for our sins, it is now possible for the perfect, holy God to live IN US, through the person of the Holy Spirit. But God, being rich in mercy, because of His great love, even when we were dead in our sins, made us alive together with Christ… and raised us up with him and seated us with him in the heavenly places in Christ Jesus. Jesus came, not to save us from hell, but to restore us completely to the soul-satisfying relationship that God created us for. And Jamie knew that. He believed it in his bones… in his soul. The first time was 2,000 years ago, when his death on the cross removed the curse of death for all those who would put their faith in his name. When he comes for the second time, he will restore everything. He will destroy everything that causes pain. And he will recreate the earth as it was meant to be. And we will once again be fully satisfied, in our souls by the pure presence of God. The contrast of this broken world and that perfect paradise can be overwhelming. The whole creation waits with eager longing for the revealing of the sons of God… And not only the creation, but we ourselves, who have the firstfruits of the Spirit, groan inwardly as we wait eagerly for adoption as sons, the redemption of our bodies. I believe that Jamie understood this better than anyone. His heart ached for the day when Jesus would make all things new. I believe that was his constant prayer. I don’t think he wanted to escape from this world, so much as he wanted to finally be at home. With his heavenly father. For Jamie, the promise of perfect fellowship with God was so precious. And his spirit became so tired of waiting. In a gentle way, he was telling them that we would be going away, but coming again. You have sorrow now, but I will see you again, and your hearts will rejoice, and no one will take your joy from you. Jamie fought for joy with all his might for the last several years of his life. He fought until he couldn’t fight any more. But today, he is with Jesus, and nothing will ever take his joy again. Who shall bring any charge against God’s elect? It is God who justifies. Who is to condemn? Christ Jesus is the one who died – more than that, who was raised – who is at the right hand of God, who indeed is interceding for us. Who shall seperate us from the love of Christ? Shall tribulation, or distress, or persecution, or famine, or nakedness, or danger, or sword? No, in all these things we are more than conquerors through him who loved us. For I am sure that neither death nor life, nor angels, nor rulers, nor things present nor things to come, nor powers, nor height nor depth, nor anything else in all creation will be able to separate us from the love of God in Christ Jesus our Lord. Jame fought the hardest battles I’ve ever seen. He battled depression and nightmares, and crushing grief. But in the end, all those things are swallowed by the hope of the cross. Every foe was defeated once and for all at calvary. Let us not grieve for Jamie. He is the happiest he has ever been today. Instead, let’s grieve the loss of such a precious man. Let’s join him as we groan inwardly for Jesus to come and make all things new. Let’s join him in the mission of proclaiming this hope to everyone. In the coming days, as we ride the wave of emotions that come with our loss, let us remain anchored to the hope of the Gospel. Let us plant ourselves in the hope of a coming redeemer. I would like to end with a poem, a prayer, and then a video to remember uncle Jamie. This poem is very precious because it was written by a man named William Cowper. Posted in don't waste your life, video. Zack, thanks for sharing this. I know how much you loved your uncle and remember you sharing a lot of stories about him. This video is a great testament to his life. I’m so sorry that you and your family have lost him for this time. Will continue praying for y’all! Zack, I am so sorry that I did not know about this until now. MaryAnn and I just watched the video and were so touched by the photo memories of his life. I know you loved your uncle and I know you miss him terribly. We will pray for you and your entire family. Again, we are so sorry to hear about his passing. I know you look forward to seeing him again one day..
It’s been tough. But God is good.